In the past few months, Jeremy Corbyn has warned that ‘gamblers and speculators’ in the City should be more afraid of a Labour government than of Brexit, that levels of pay and bonuses in the City are unacceptable, and that finance should be ‘the servant of the real economy rather than the master of us all’. At this dinner, shadow Economic Secretary to the Treasury Jonathan Reynolds MP will discuss Labour’s approach to the City, it’s position on Brexit, what the industry should and shouldn’t be afraid of, and what it could do to mitigate those fears. 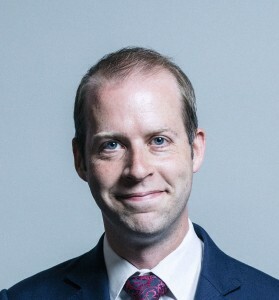 Jonathan Reynolds is a British Labour Co-operative politician and Shadow Economic Secretary to the Treasury who has been the Member of Parliament for Stalybridge and Hyde since 2010. Reynolds served on Labour’s National Executive Committee from 2003–05 and until 2011 remained a councillor for Longdendale ward on Tameside Metropolitan Borough Council having been elected in 2007. He is a former shadow energy minister, shadow transport minister, and PPS to the Leader of the Opposition.